In part one, I discussed the imminent shutdown of Diablo Canyon, a nuclear plant supplying 18,000 GWh of carbon-free electricity per year. Antinuclear activists rationalize this move with a simple argument -- all of Diablo Canyon's output will be replaced by renewable energy. No harm, no foul. This is nonsense. After the loss of the San Onofre nuclear plant in 2013, California's fossil fuel emissions increased by 35%. 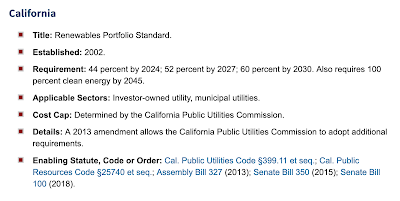 To reassure climate hawks that this will not happen again, the legislature passed SB 1090, which proclaims "The commission shall ensure that integrated resource plans are designed to avoid any increase in emissions of greenhouse gases as a result of the retirement of the Diablo Canyon Units 1 and 2 powerplant." Both the general logic that treats this kind of supposed substitution as a win, and the specific case of applying this logic to the California of 2019, fall apart under scrutiny. 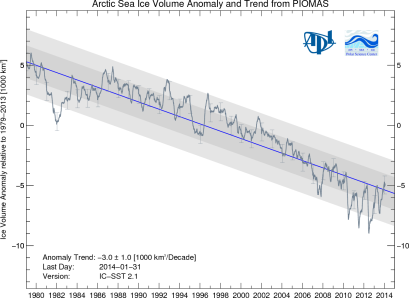 As to the logic of substitution: put simply, climate change is an emergency: this is no time for lateral moves. The objective is to reduce, then eliminate, greenhouse gas emissions. In the electricity sector, that means eliminating fossil-fuel-burning plants. 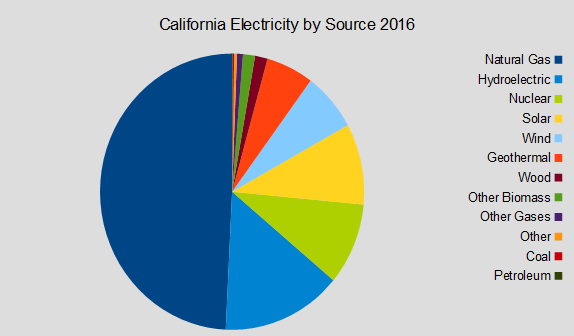 And California still has (and buys energy from) a lot of those. It must be said again: swapping out one low carbon source for another is like being caught cheating on your spouse and making amends by promising to give up dairy. It's like responding to flunking out of college by substituting boxers for briefs. It's like being told your child has bacterial meningitis, and going out and buying a Prius. In other words, it's an expensive, time-consuming switch that's completely irrelevant to the problem we are facing. Antinuclear activists promise that there are 18,000 GWh of wave, wind, and solar, plus efficiency, available at a reasonable cost, cheaper than Diablo Canyon. Great! We will have that, please, and Diablo Canyon -- and cut out a big chunk of the natural gas and coal (still!) that are today part of California's energy mix. Activists argue we cannot afford new renewable generation unless we redirect the money that would be used to re-license and operate Diablo Canyon. That argument, stated in general form, goes as follows: there is only so much money to fight climate change, and we cannot increase it, so new green energy must cannibalize other green energy for funding. I doubt very much anti-nuclear environmentalists would accept this line of reasoning outside the context of nuclear energy. As we contemplate a Green New Deal that would cost trillions of dollars to implement (which does not mean it's a bad idea!) the idea that you can only fund one clean source by cannibalizing another is an absurd rationalization of a predetermined anti-nuclear conclusion. So much for the abstract logic of "substitution." What about California's specific case? What will happen when Diablo Canyon's two reactors shut down (in 2024 and 2025, respectively)? So what will happen when Diablo Canyon goes offline is very predictable. The utility will point to some of the renewable projects that have come on line in the prior few years, and to those coming on line in the following few years, and will designate them as "replacing" the output of Diablo Canyon. Maybe, if they really want to impress, they will temporarily import some renewable energy from other states until their homegrown renewable generation catches up. But presuming they will continue to make smooth progress towards the 2030 goal of 60% renewables, that should take, at most, 2-3 years. And all of that renewable electricity generation was going to happen anyway. None of it is/will be new or unexpected. 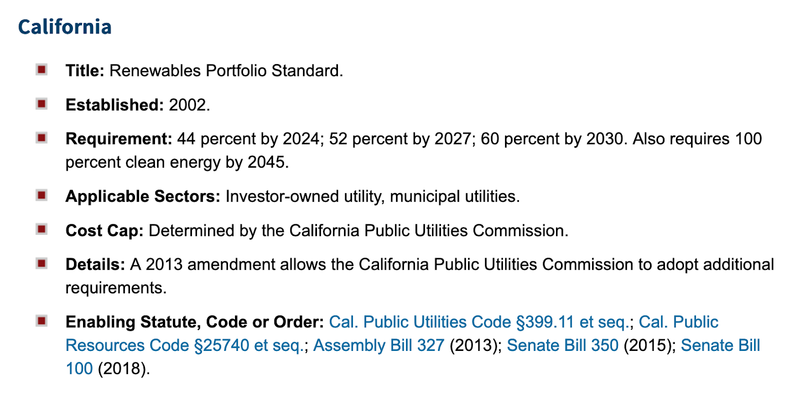 Rain or shine, the law says California utilities have to grow the share of renewables by 2-3% of total generation per annum to hit the legislature's targets. With the shuttering of Diablo Canyon, several years of that progress will be designating as "replacement" for those lost ergs. That's bookkeeping. 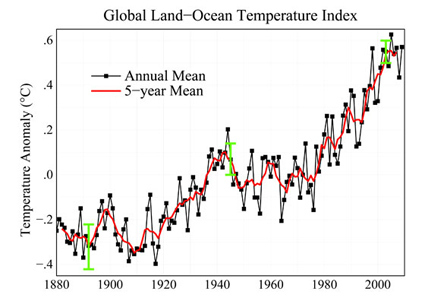 Fossil fuel burning, instead of declining, will (best case) stay at current levels ("avoid any increase.") Exactly as common sense would suggest, eliminating a large amount of non-fossil-fuel electricity generation will result in more fossil fuel burning, with the (state-mandated, pre-existing) increase in renewables being used as a fig leaf. But the climate doesn't care -- more CO2 is more CO2, whether it is from an absolute increase in emissions or from sabotaging a decline in emissions already in progress. Worse is worse.